Our camp is not like any other camp your child has ever gone to. 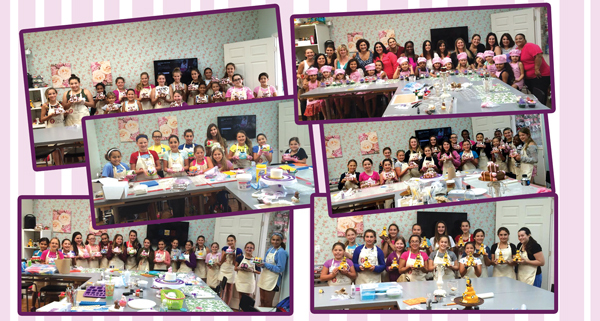 If your child loves to bake, wants to help you when you’re in the kitchen and sees all the cake decorating shows on TV, our camp is the perfect fit. We will have a variety of hands on classes: baking, decorating, food safety, etc. The best part is that every day the children get to take home their creations. Our camps main focus is to inspire your child to use their imagination and skills and be as creative as possible and nurture his love of baking and the art of cake decorating. Sign up for one day or more! Your child should bring lunch and a small morning snack, each day the children will take home the pastries and sweets they have made. We have a maximum capacity of 24 children in each session. So hurry up and reserve your spot.